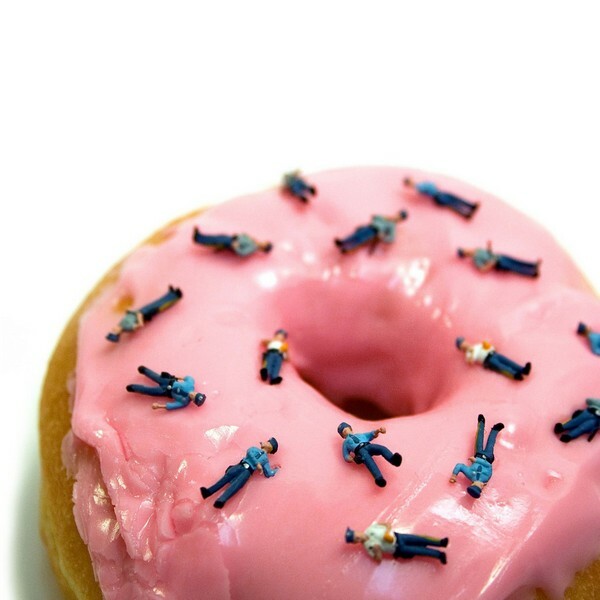 What do policemen, doughnuts, deer and lollipops have in common? 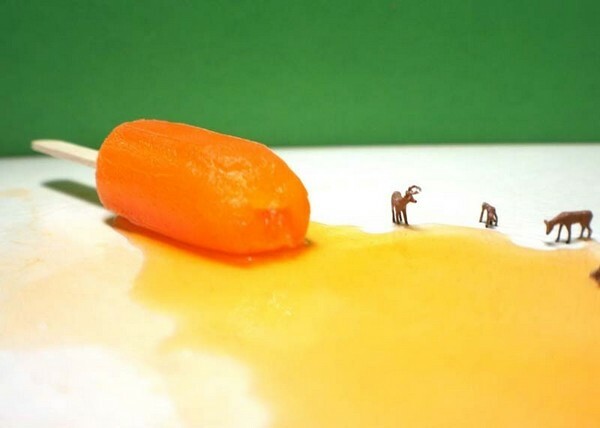 They are all subjects of Kristi McMurry’s quirky original photographs. 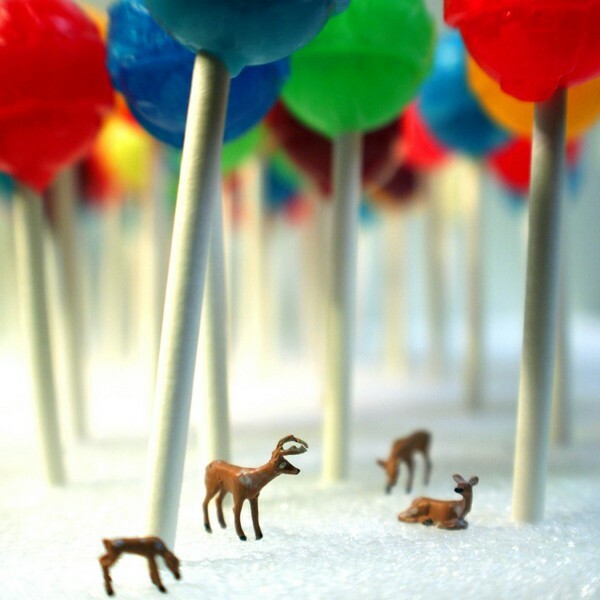 McMurry has a penchant for photographing miniature deer in the most unlikely places – a lollipop forest, drinking at the edge of melted icy-pole lake or being caught in a salt ‘shower’. 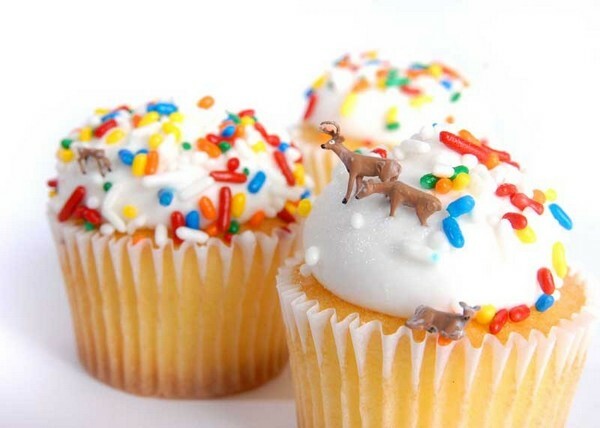 Other animals and subjects, such as policemen, are also captured in miniature but it is the striking colours combined with sweet treats in the deer shots that grab me. McMurry’s Etsy shop, Deer Sweet Images, stocks a range of her original photographs as prints, greeting cards and gifts. Prices begin at US$3 and range up to US$38. Deer Sweet Images ships to Australia.